This is the final day Gal of Whisky Israel and I will be sharing our thoughts on the Kavalan range. While I’m not tasting these whiskies blindly, Gal and I will not be sharing our thoughts on these whiskies prior to our posting them. 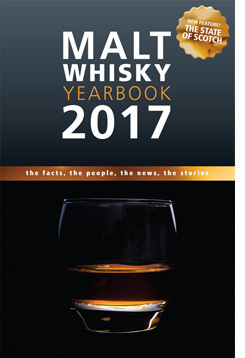 Be sure to check out Gal’s notes on this whisky (a link to Gal’s review is listed below my notes). Well, so far, for the Kavalan range, I’ve really enjoyed their King Car whisky. The “Concertmaster” port finished whisky was good (if a little off balance) and the Sherry cask “Solist” was quite the delicious pick-me-up. 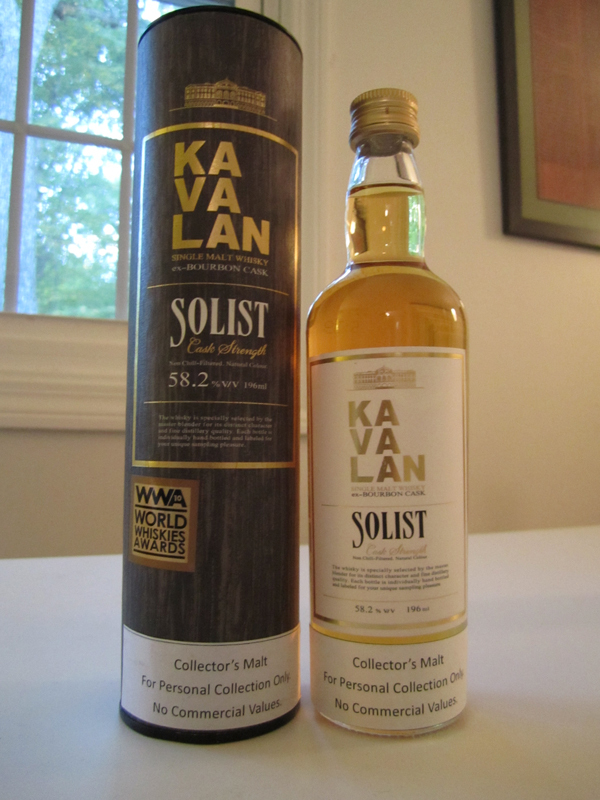 This final “Solist” is also a cask strength whisky. Kavalan have an ex-bourbon cask strength (this one I’m reviewing today) and an ex-sherry (yesterday’s review). I am a big fan of ex-bourbon cask whiskies and if they’re cask strength… bonus! On the nose – Big bright bourbony nose filled with vanilla and coconut (almost like a Sno-ball. Also rubbing alcohol and tropical fruits (think pineapples and even a little guanabana). Fresh cream (and creamy smelling). On the mouth – Creamy mouth feel – very nice. 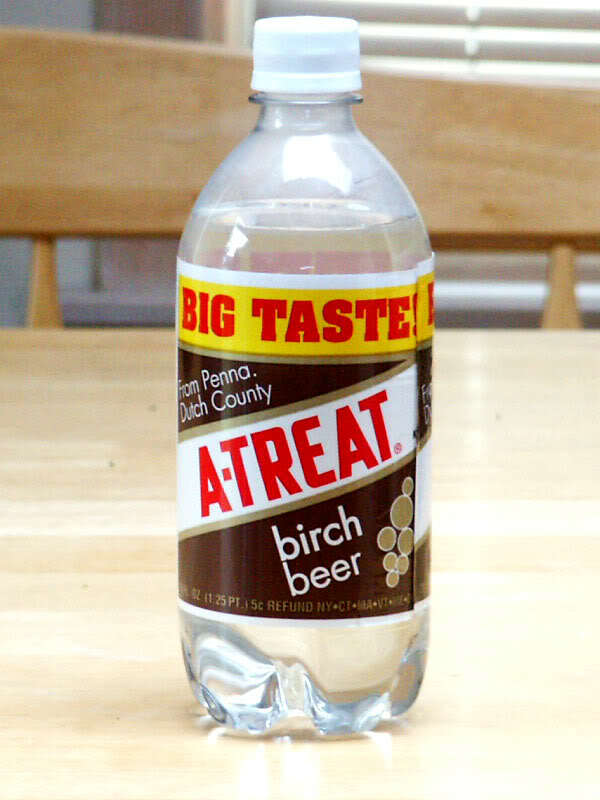 Birch beer with some high effervescence – it’s all fizzy in my mouth. 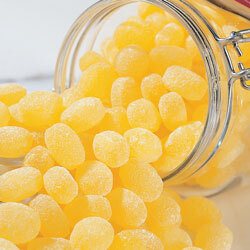 Finish – Long, more fizziness, lemon drops and vanilla ice cream. In sum – A straight forward, light and fruity whisky. Very impressed with the mouth feel – creamier than I expected, but with some lasting fizz to it – right up my alley. This is a big, young sweet treat. Early spring in a warming sun is just right for her. I truly had a lot of fun reviewing these whiskies (and doing so with Gal!). I look forward to their being more widely available and feel the world is ready for more “world” whiskies. 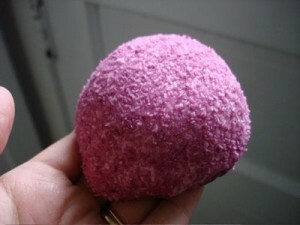 Be sure to read Gal’s review here. 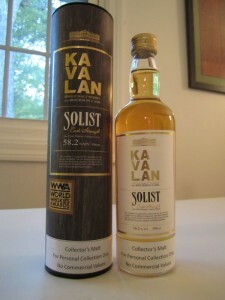 Previous PostKavalan Single Malt Whisky “Solist”, ex-sherry, cask strengthNext PostWhiskyFest NYC – More Kippahs than Kilts! !